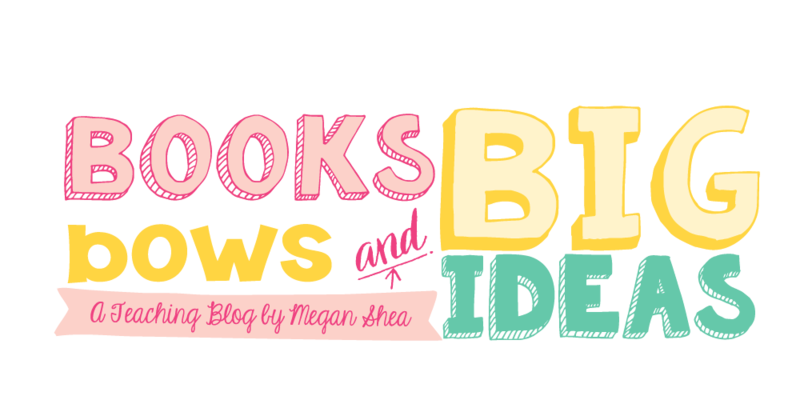 Books, Bows and Big Ideas: Fishy Fun! Every year our school has a fun camp for the kids coming in to kindergarten in the fall. It helps them get acclimated for the school and get a taste of what kindergarten will really be like. It is only a few hours long each day for a few weeks. I love this camp because we get to do all kinds of fun activities! 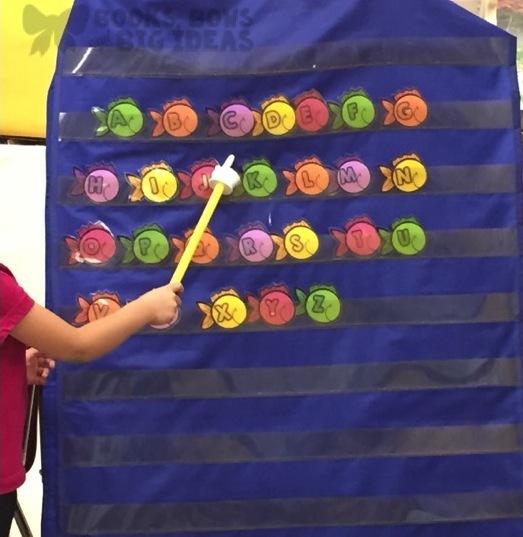 Each week has a theme and this week is under the sea. We started the week off by fishing for shapes. 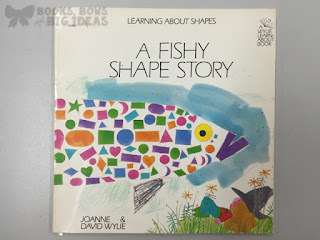 This was a perfect activity for a child before starting kindergarten, it would also be great for the beginning of kindergarten or pre-k.
First we read "A Fishy Shape Story", this book was perfect for this activity! Unfortunately this book is out of print, but I think I found it used on Amazon here. 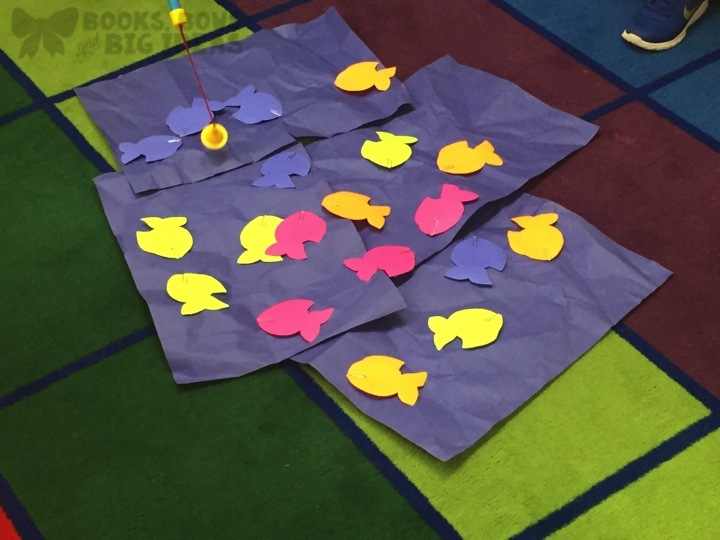 We had an "ocean" in the middle of the rug (really crumpled up blue construction paper, but we told them it was an ocean), with all of the fish on top. The fish have to have a paper clip on them for it to work. 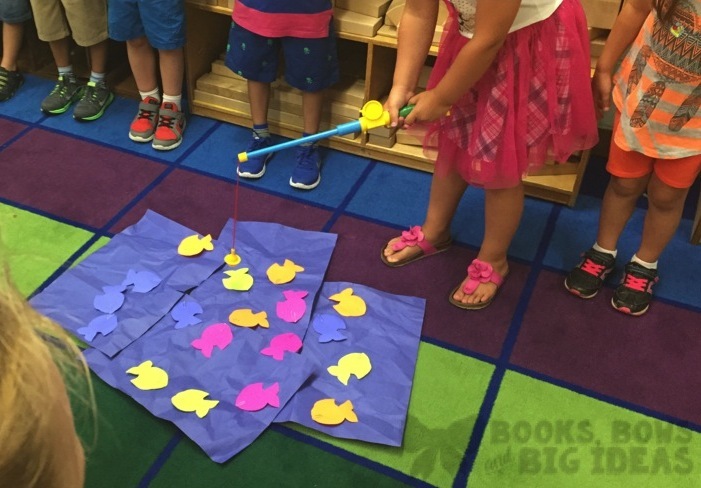 Then, the kids stood around the rug and each kid got to take a turn catching a fish. They LOVED this, seriously it was like they were actually fishing! 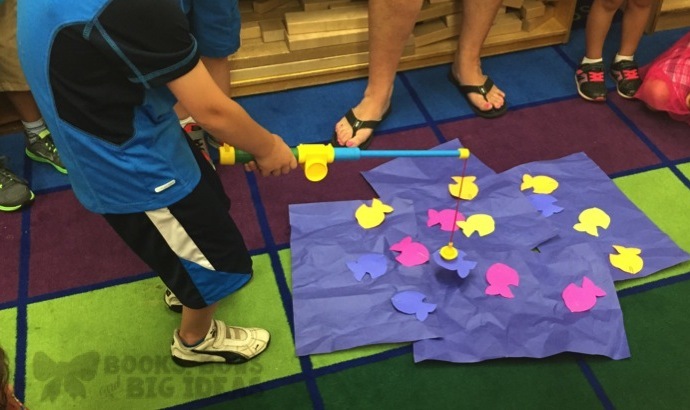 We used these Lakeshore magnetic fishing rods. I would definitely recommend these, but if you can't get them, you can make your own with a ruler or some type of stick, a string tied on and a magnet tied on the bottom. 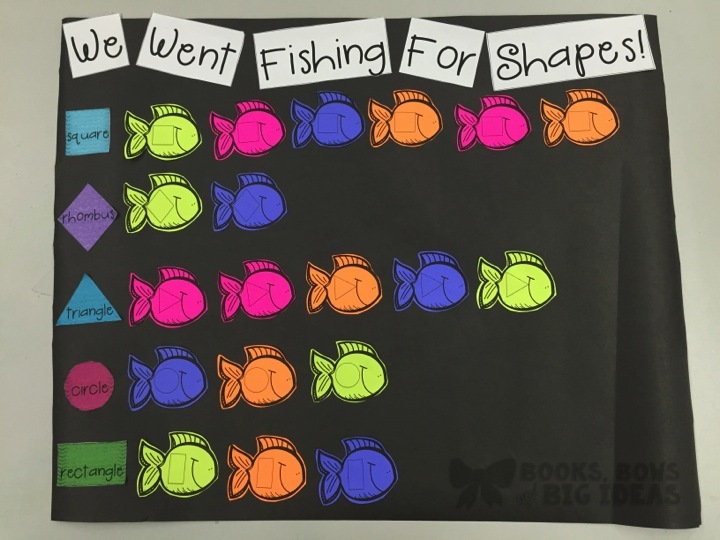 After they caught their fish they brought it over to the graph and put it in the correct row. We analyzed the graph afterward and hung it up in the hall. Another activity that we did was an alphabet fish hunt. We found this cute fish abc song on YouTube to watch before the activity. 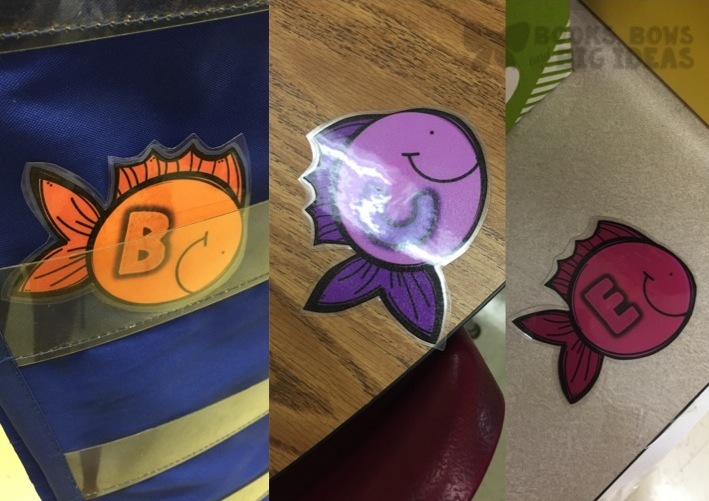 After the book, all of the fish letters were hidden around the room. They had to find the letters and come sit on the rug. 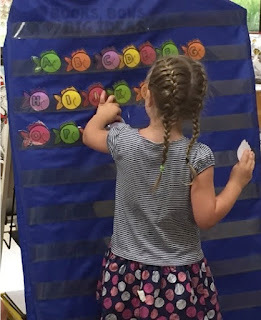 Once all of the kids were back, we called all of the letters one at a time and they put them in a pocket chart. 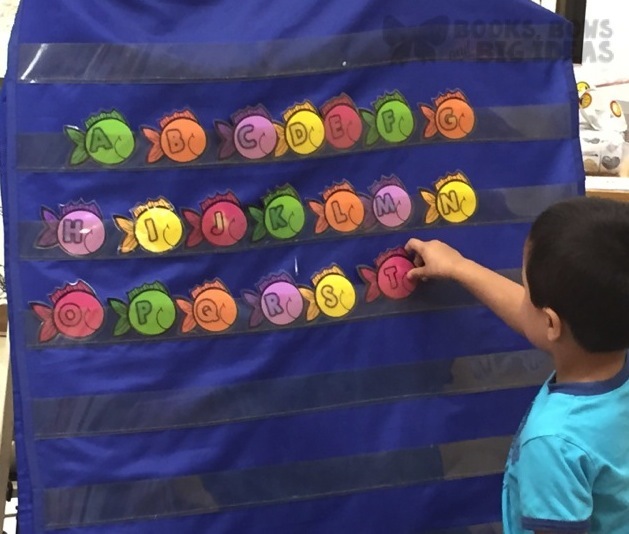 At the end we called one kid up to point to the letters as the rest of the class was singing the alphabet. This was an awesome activity! 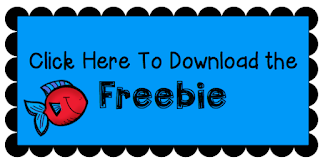 Click here to download all of the activities in this post!